This IS an impressive virtual tour. Bit like a bus… you wait ages for one, then two arrive together… so it is in the world of Virtual Tours. The other day I came across this 360 Virtual Tour of Son Doong Cave in Vietnam…. Not only is the photography brilliant, but the tour of this 4 Km cave complex reveals some totally stunning sights. Please take your time and go through it carefully. Sometimes you just cannot believe the scale of these caves, so dont forget to zoom in to see the detail. So why not take a look. At least this way you dont get wet, claustrophobic and bug eaten…. Just thought some of you might be interested…. 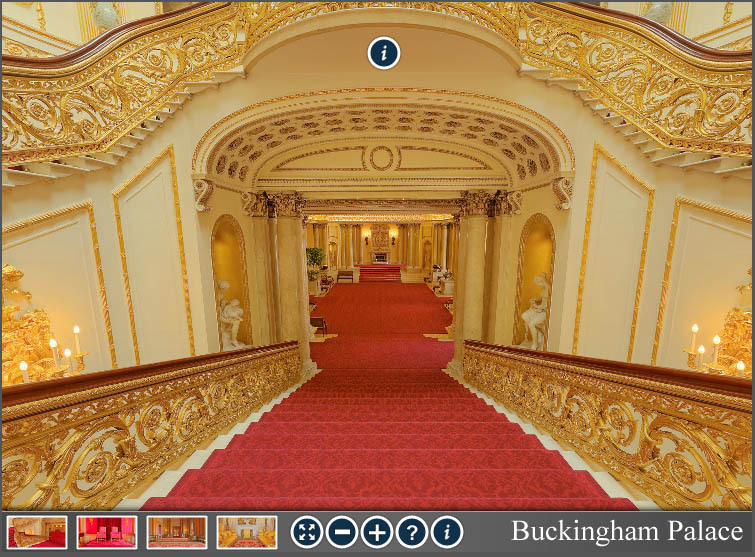 how the other half live so to speak… Here is a short 360 Virtual Tour of Buckingham Palace. … and just incase you thought…. No I havent been there either… but this is a great way to have a sneaky peak. Not bad eh? Mind you, I wouldnt like to have to do the cleaning….. Recently we were asked to produce 360 virtual tours for two beautifully presented cottages close to the small beach at Cwm-yr-Eglwys. Both cottages photographed were beautifully presented by the owners, and are a credit to their attention to detail. This one is Y Bwthyn… more details can be seen at West Wales Holiday Cottages. The other cottage here is Y Beudy. When searching on the West Wales Holiday Cottage site, search for Tan Y Bryn Y Beudy or Tan Y Bryn Y Bwthyn. In our recent trip to West Wales, we shot a virtual tour for a client. When we looked at the still image of the front of the property, we thought, OK, nice little place, is a small village in Pembrokeshire. 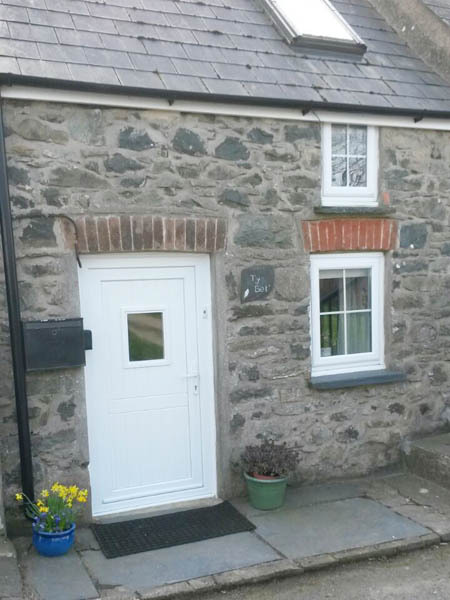 Beaufifully presented and in a great location for St Davids and the Pembrokeshire coastline with some beautiful beaches. Fancy a break in the Brecon Beacons…. ? Recently completed a set of Virtual Tours for a very special place in the Brecon Beacons. 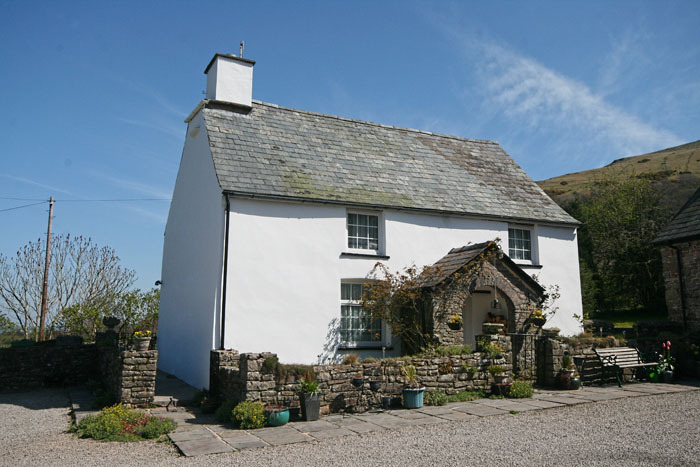 Just 5 or so miles south of Brecon, just below Pen y Fan can be found Carno Farm and its 3 delightful cottages in a stunning location. 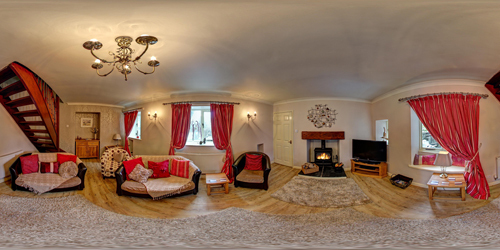 Here are the virtual tours we did for the owners…. so if you fancy a trip down Brecon way…. you cant go far wrong with here. Click on the image to view the Tour. Recent tour of the Old Farmhouse, just a few minutes walk from Hawkshead in the Lake District. iPad / iPhone / Android Phones and Tablets – 360 Virtual Tours available. Never happy with the status quo, we have been developing 360 virtual tours which are accessible on all devices such as iPads, iPhones, Android Phones, PC’s or Apple Macs. In the latter stages of testing, along with the ability to connect to the tour using a QR code. So, all of you out there with these wonderful devices, check it out… see if it works and let me have your feedback. All comments welcome. Simply scan the QR code below, and you will be whisked away to a little holiday cottage in Wales.